The adidas rubber dumbbells weigh 5kg (11lbs) and are great for toning the muscles and gaining more strength. The dumbbells utilise a knurled steel handle for a secure grip and include metal discs dipped in a rubber compound to enhance durability. They are more balanced and controllable due to an increased disc diameter. 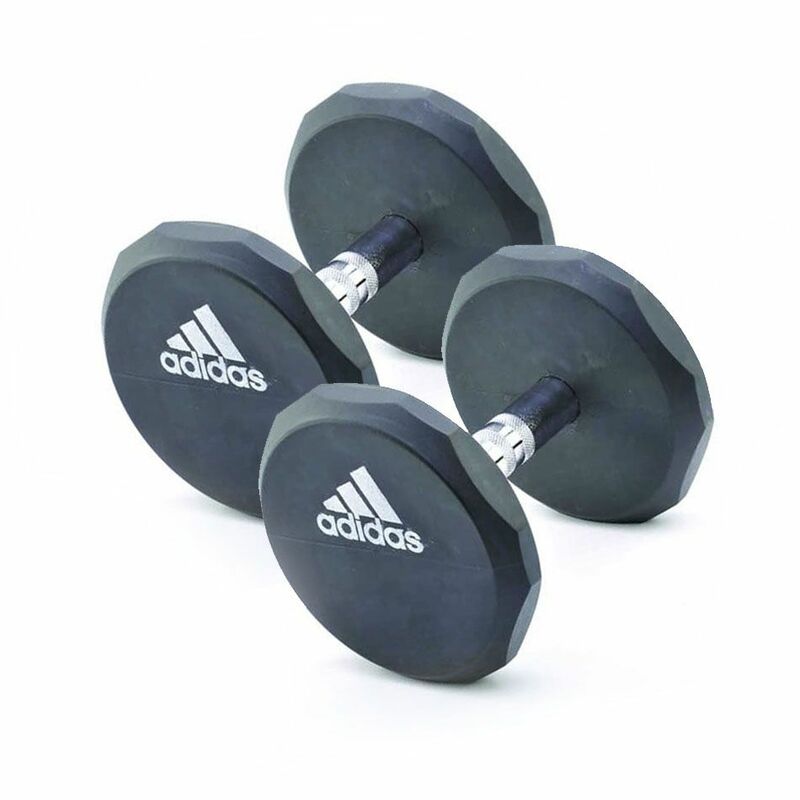 for submitting product review about adidas 2 x 5kg Rubber Dumbbells.